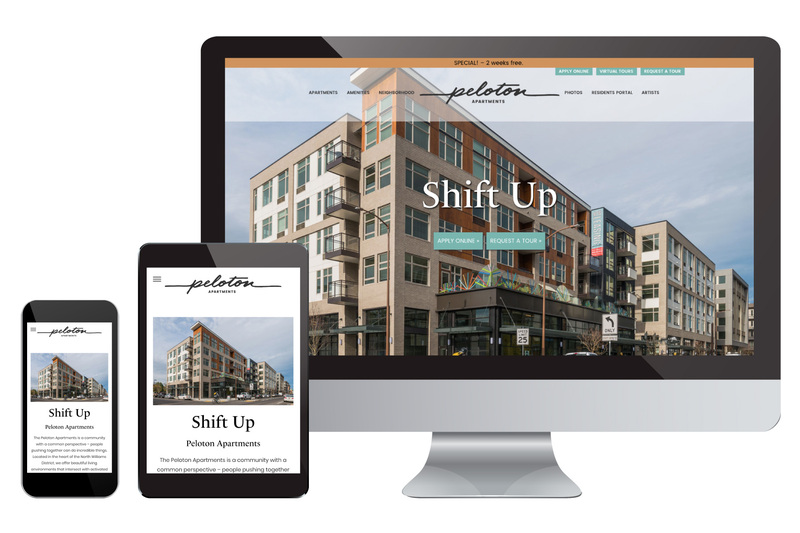 Peloton is an urban, bike-centric apartment development on North Williams Ave. in Portland, OR. Top Portland branding firm OMFG Co. designed the logo and brand identity for the building and the real estate developer needed a company to design and build the website as well as execute related promotional materials such as leasing signage and interior graphic design for some of the building’s common spaces. We designed the website to be easy to navigate and locate the features that apartment-hunters want to find: beautiful large-format photos, floor plans, amenities, pricing and an on-line application. There is also a resident portal where tenants can request maintenance and pay their rent online.